People have used wild lettuce as a sedative and painkiller for millennia. This plant is similar to thistle and dandelion, but it has potent properties which can replace synthetic painkillers. Namely, it has been used as an opium replacement since the 19th century, when it was known as “poor man's opium”. Even nowadays, the distilled water from this plant is used as a mild sedative in France. Also, the Hopi Indians smoked its sap to induce a mild euphoric dream state. 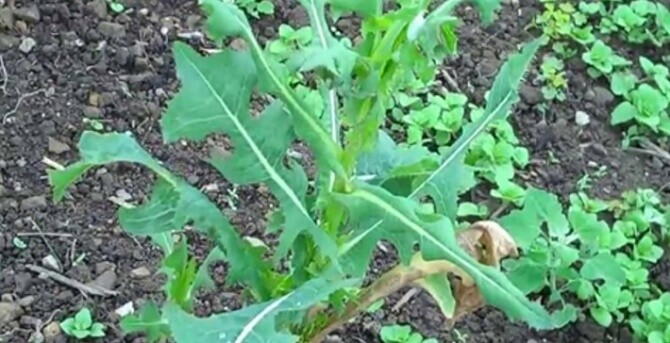 The plant has a resinous milky sap, which contains pain-relieving opiates, known as lactucarium. These opiates are collected and dried, and their main compounds include lactupicrin, lactucin and lactucopicrin. All of these have potent analgesic properties and lead to the same of even more intense effects the ones of ibuprofen in mice. Studies have shown that lactucin and lactucopicrin have sedative activity in measurements of spontaneous movements of the mice. “The action of the substance was weaker than that of opium but free of the side-effects, and medical practice showed that in some cases lactucarium produced better curative effects than opium”. The wild lettuce is also beneficial in the case of a cough, and it also soothes the symptoms of a whooping cough (pertussis). Anxiety – Its sedative properties are extremely helpful in the case of anxiety. Migraine / Headaches – It reduces the frequency and severity of migraine headaches.